It is no secret that we love to have a campfire and cook on it as well. They are cosy, fun, magical, and add a sense of adventure to our outdoor trips. I believe it benefits children and there is much to be learnt from having campfires. I have done a few general information posts in the past about campfires. I have discussed how to cook on a campfire, the basics of campfires, and how to solve some campfire problems. 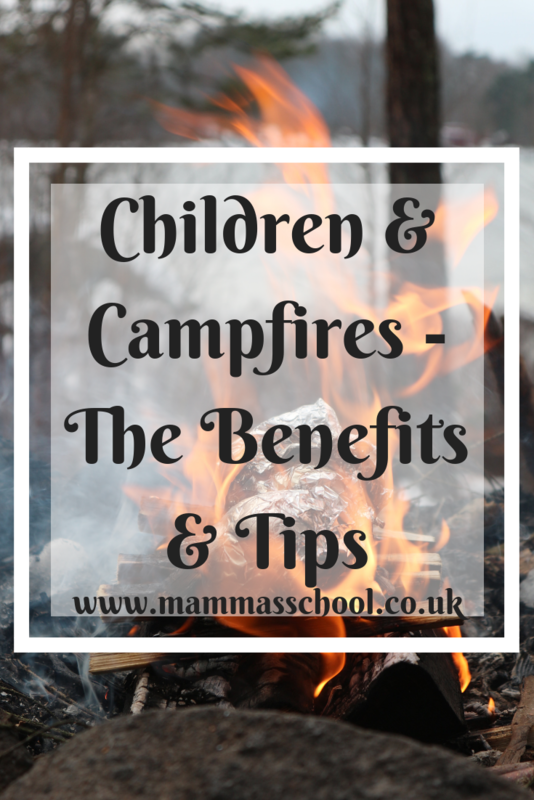 In this post I want to talk more about children and campfires, highlight some benefits to children of learning to do campfires, some safety tips, and a great method to teach children the basics of building a campfire. They learn a lot of science. They learn some basic survival and bushcraft skills. They learn about managing risks. They have the enjoyment and excitement of being around a campfire. They learn to respect fire. They learn how to cook on a fire and about outdoor meal preparation. 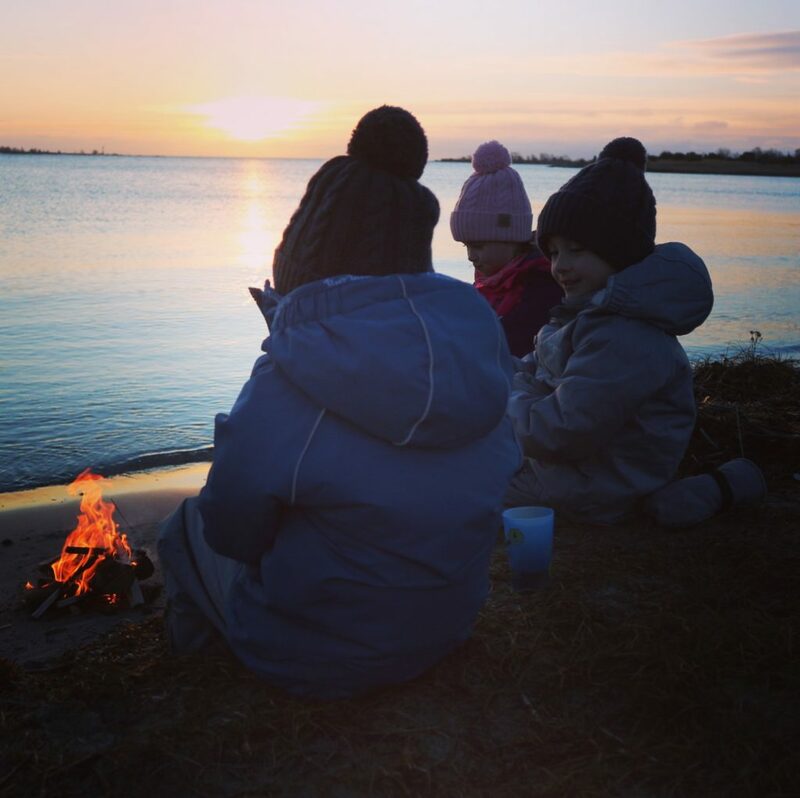 Involving the children when you do a campfire is the best way to teach them, and also leading by example. Follow your own safety rules and the children will learn from you. 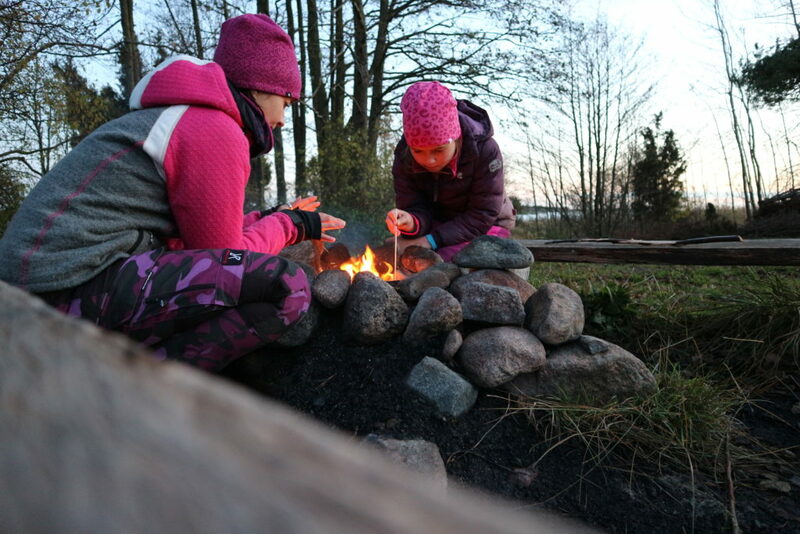 There are several ways in which the children can be involved in the campfires. When you are building your campfire, the children can help, with you explaining what goes where and why. You can let them light the campfire. We use a fire steel and the children love making the spark to light the fire. You can teach the children about the wood needed. The various sizes (tinder, kindling, logs), what to put where, and how to collect it (from the floor, not all from the same area, and without damaging trees). 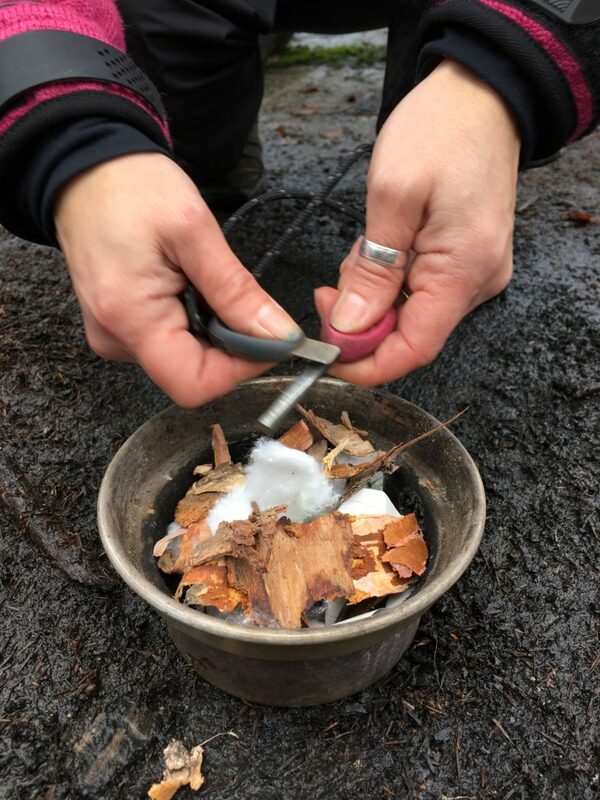 You can find out a lot of information you might need in my post about the basics of campfires. No running, playing, or being silly around the campfire. Set a safety boundary. We set a space around the fire that no-one is allowed inside unless cooking, eating, or tending to the fire. All other activities must take place outside this boundary. Teach them to assume everything is hot. The food, the utensils, the rocks surrounding, and anything else you can think of. Teach children what to do in case of catching on fire – drop and roll to extinguish the flames. Before lighting your fire, make sure there is a source of water close by for emergencies. This can be something like a bucket full of water. This can be done a few ways, and I am going to highlight two. The first one is role play. Our trio love pretending to have a campfire. This is either in the garden or while we are out having a real one. Either way they can make it using the techniques you have taught them, putting the various sized wood in the right places, practising the safety rules around their fire too. 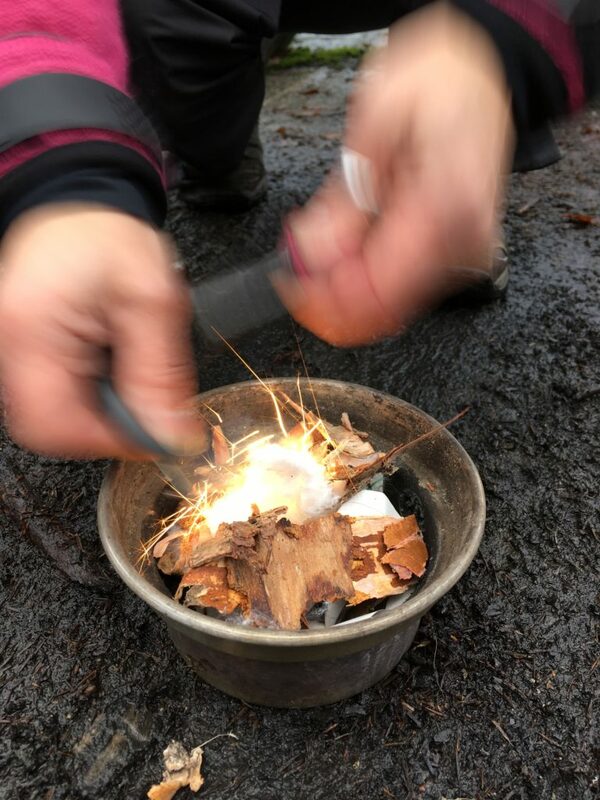 A second way is through an edible fire 🙂 You can substitute the supplies for whatever you have at home in the cupboard, as long as the principles of shape and size are still there. It makes for a tasty snack after too. 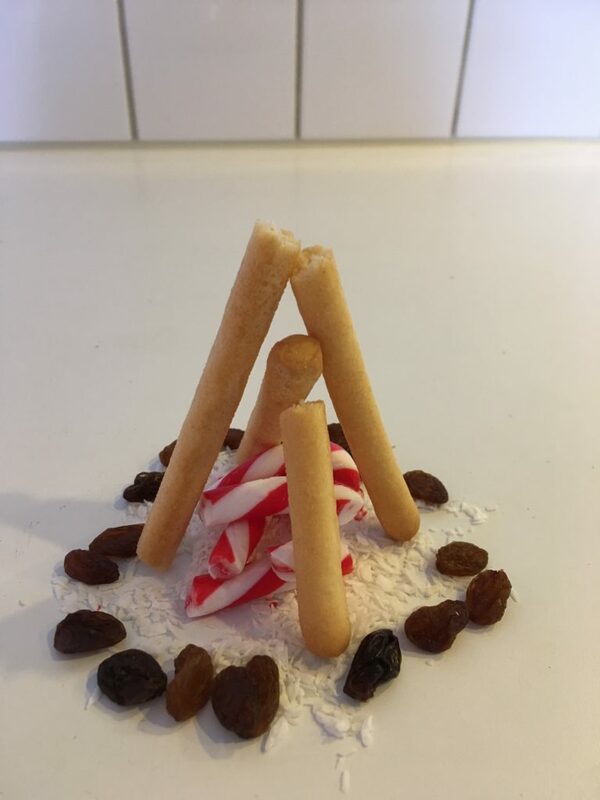 We used raisins for the rocks around the fire, coconut for the tinder, candy canes for the kindling (it was Christmas time), and bread sticks for the logs. You can practice all styles, but I have done the teepee and stacking systems to illustrate. We have also found that our Kelly Kettle is a lovely way to introduce children to fire. You can have a much smaller manageable fire in the base, which is very well contained, but all the same methods and principles apply. It has helped to build up our trio’s confidence in dealing with campfires and handling them, before going onto the actual big fire. The Kelly Kettles are also fun for them to use as well. 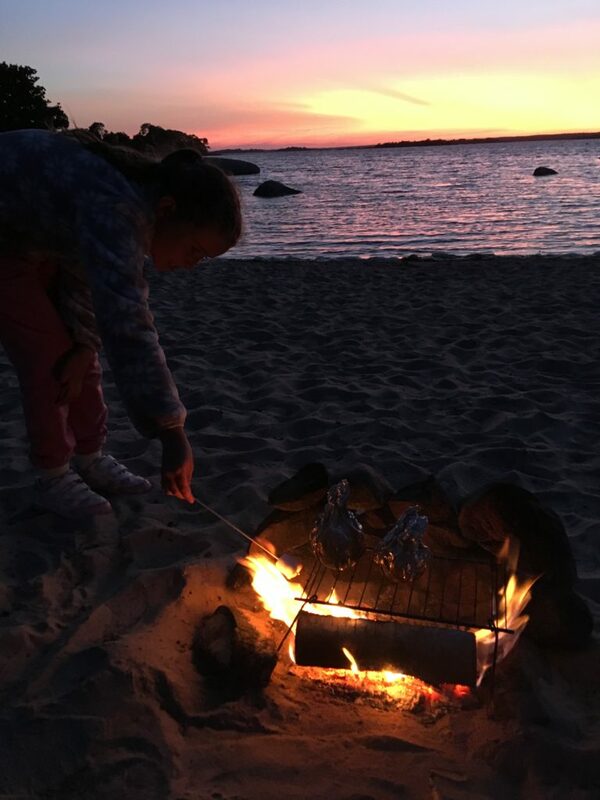 I hope this post has given you some helpful tips for children and campfires, and if you need any ideas or inspiration for what to cook on your campfire, don’t forget to check out our recipes. This looks great fun and a really good way of teaching skills practical skills of safe fires and of course toasting marshmallows! This might be something we have to do this summer, although sticking with the chiminea might be safer! Such a good idea to teach children fire safety through camp fires. Mine was in complete awe of camp smokey over at Bluestone in Wales. Although all you were able to do was to roast marshmallows over the fire – this was definitely a huge highlight. 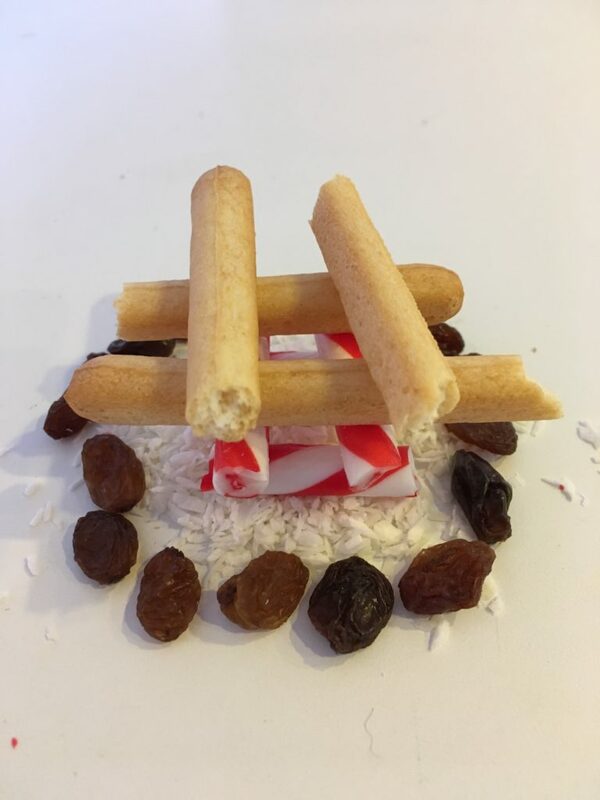 I love this – we love making campfires with our daughter and when we are at home we use our chimnea to make one with our daughter! 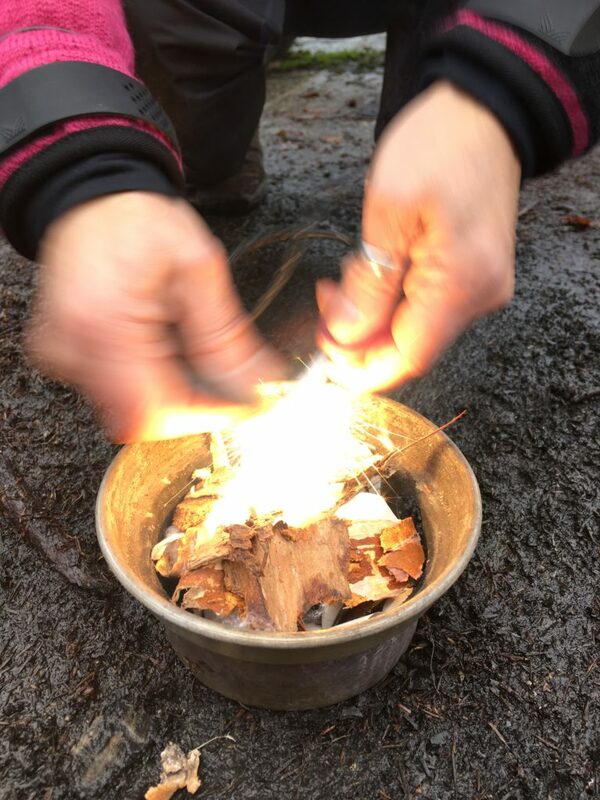 We did a forest school activity last year and by far my daughter’s favourite bit was lighting the fire. We cheered every time we got a spark! What some great tips, camp fires are great fun. I love your methods for teaching how to light them. 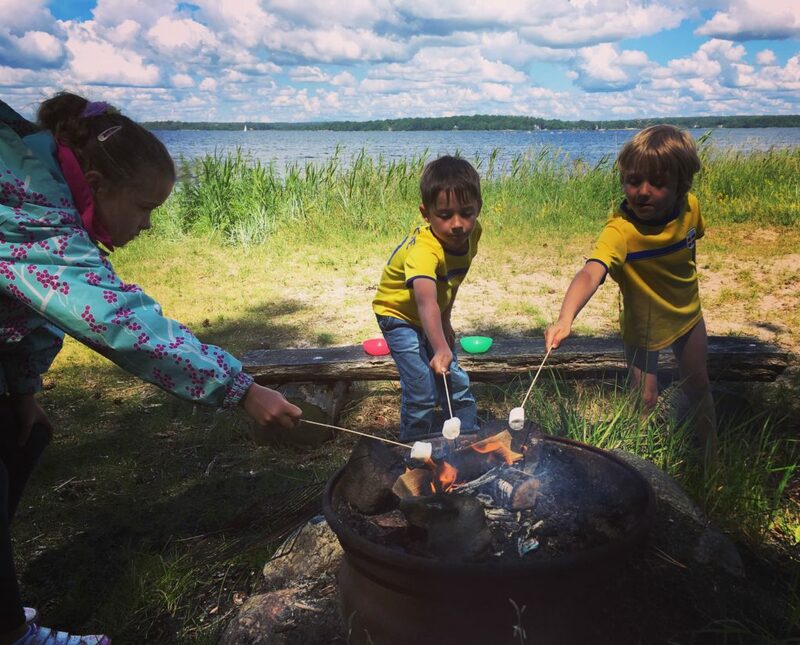 Our 3 grandsons go to Beavers / Cubs so they’ve been lucky enough to go on camping trips and learn how to light camp fires when they’ve been away on camp. I have always wanted to try camping not just for the experience but for the skills as well! It’s just a beautiful thing to do together and I wish we could have done it growing up! I still have it on my list and an experience I have to do! Great post and such fab tips! We started going camping the year before last and the kids absolutely loved it! They’re brilliant tips. We’ve only made a campfire once before on our USA road trip and our son loved gathering wood and kindling for it. I think he’s probably getting old enough to learn more about them.